Only 34,379 Miles! Scores 28 Highway MPG and 18 City MPG! 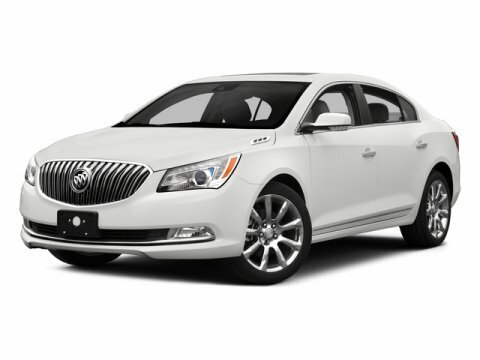 This Buick LaCrosse delivers a Gas V6 3.6L/217 engine powering this Automatic transmission. WHEELS, 18" (45.7 CM) STERLING SILVER PAINTED ALUMINUM, WHEEL, COMPACT SPARE, 17" (43.2 CM) STEEL, TRANSMISSION, 6-SPEED AUTOMATIC, ELECTRONICALLY CONTROLLED WITH OVERDRIVE includes Driver Shift Control. * This Buick LaCrosse Features the Following Options *EXPERIENCE BUICK PACKAGE includes (PCI) Driver Confidence Package #1 content, (IO6) Buick IntelliLink Radio with Navigation, AM/FM stereo and CD player and (UQS) Bose Centerpoint Surround Sound premium 11-speaker system, DRIVER CONFIDENCE PACKAGE #1 includes (UKC) Side Blind Zone Alert with Lane Change Alert, (UFG) Rear Cross-Traffic Alert, (UFL) Lane Departure Warning, (UEU) Forward Collision Alert, (UE4) Following Distance Sensor Indicator, (UV6) Head-Up Display, (T3U) front halogen fog lamps and (T4F) Xenon Highintensity Discharge (HID) articulating headlamps , TOOL KIT, ROAD EMERGENCY, TIRES, P235/50R18 ALL-SEASON, BLACKWALL, TIRE, COMPACT SPARE, T125/70R17, BLACKWALL, STEERING, POWER, SIDE BLIND ZONE ALERT WITH LANE CHANGE ALERT, SENSOR INDICATOR, FOLLOWING DISTANCE, SEATS, FRONT BUCKET with seatback map pockets (STD), REAR CROSS-TRAFFIC ALERT. * Stop By Today *Stop by Bleecker Buick GMC located at 926 E 4Th Ave, Red Springs, NC 28377 for a quick visit and a great vehicle!